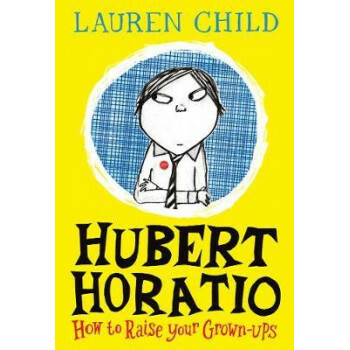 Hubert Horatio Bartle Bobton-Trent is back in this hilarious and gloriously illustrated book for ages six and up from the superstar creator of Clarice Bean and Charlie and Lola, Lauren Child. "These stories are about the days when the Bobton-Trents had it cushy, very cushy indeed." The Bobton-Trent seniors certainly know how to make the most of their extravagant wealth - socialising, doing things, buying things and generally being more than a little bit ... irresponsible... Luckily for them, their son Hubert Horatio is an exceptionally intelligent, talented and sensible child. Unluckily for Hubert, this tends to mean that a lot of his spare time is spent steering his rather unruly set of grown-ups out of trouble. Legendary children's writer and UK Children's Laureate 2017-2019 Lauren Child revisits one of her most popular characters in these brand-new, laugh-out-loud stories about the rather unconventional Bobton-Trents! The perfect gift for children aged six and up.